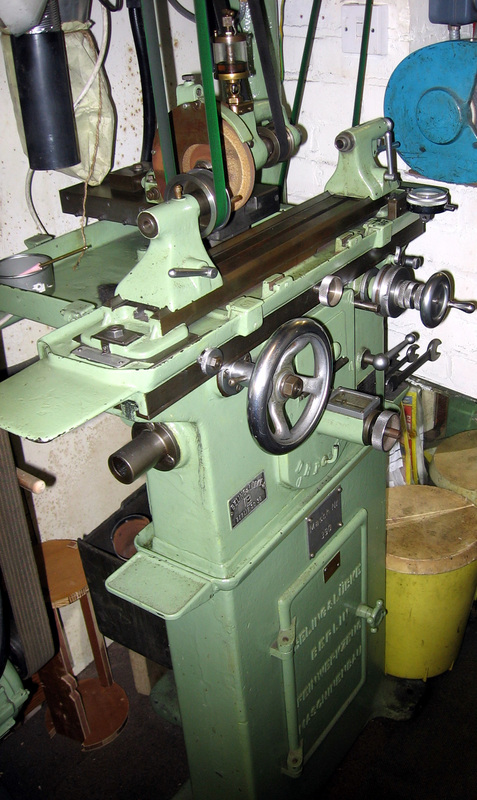 In addition to lathes Beling & Lübke also make a range of utterly conventional small horizontal milling machine - and a range of beautifully constructed and ingenious miniature cylindrical grinders. 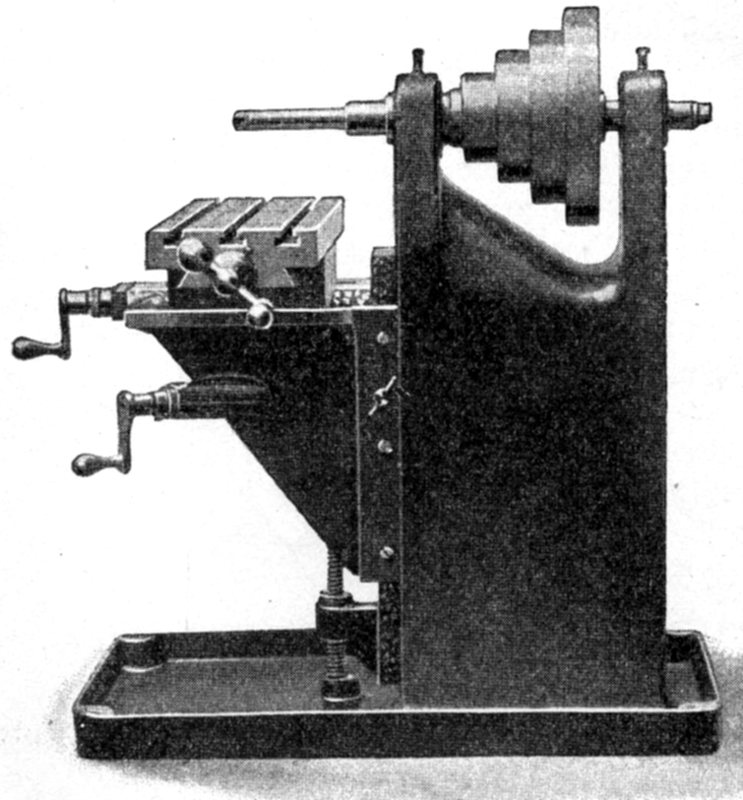 The latter were notable for the table drive system - illustrated by cross-sectional drawing at the bottom of this page - that employed steel bands passing over a heart-shaped curve. 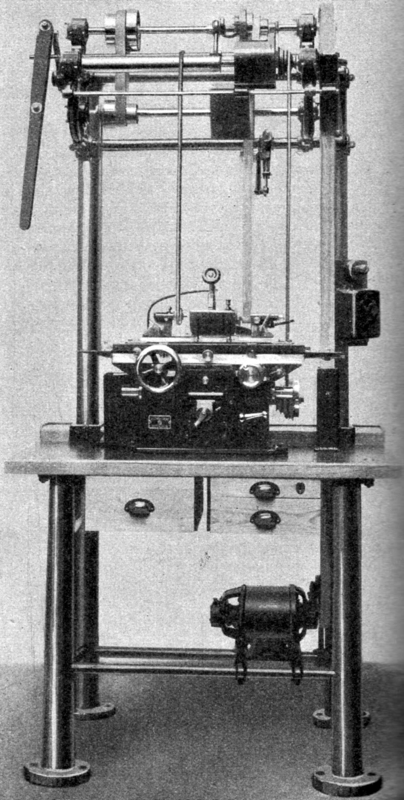 With this system it was possible for the operator to vary the table stroke whilst the machine was running. 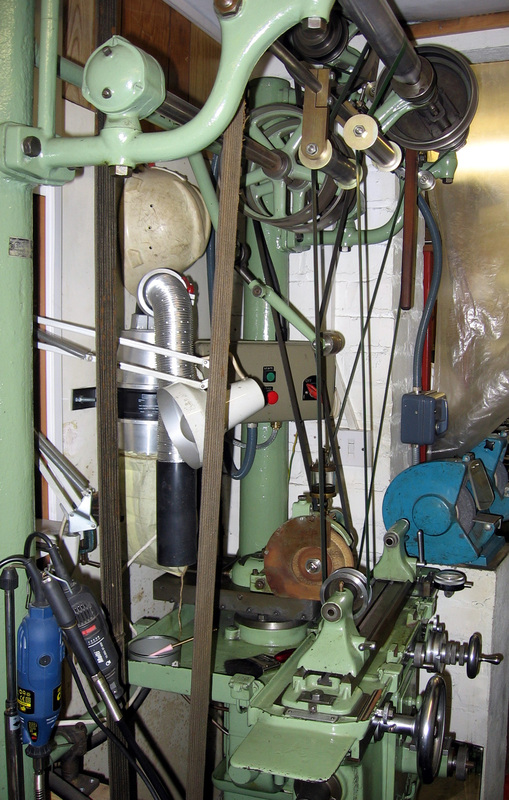 If you have a Beling & Lübke machine tool of any kind, or further information about the company, the writer would be pleased to hear from you. 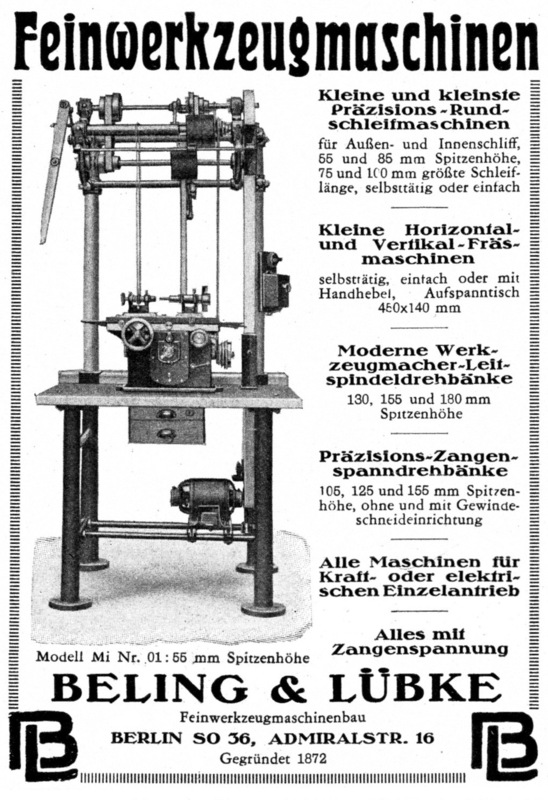 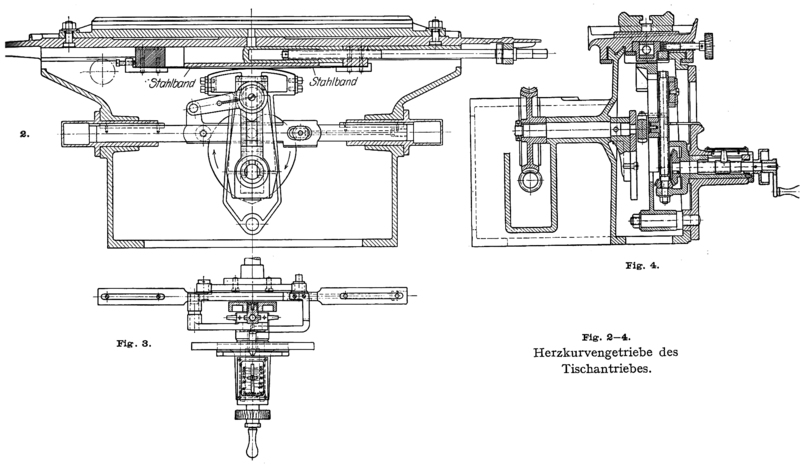 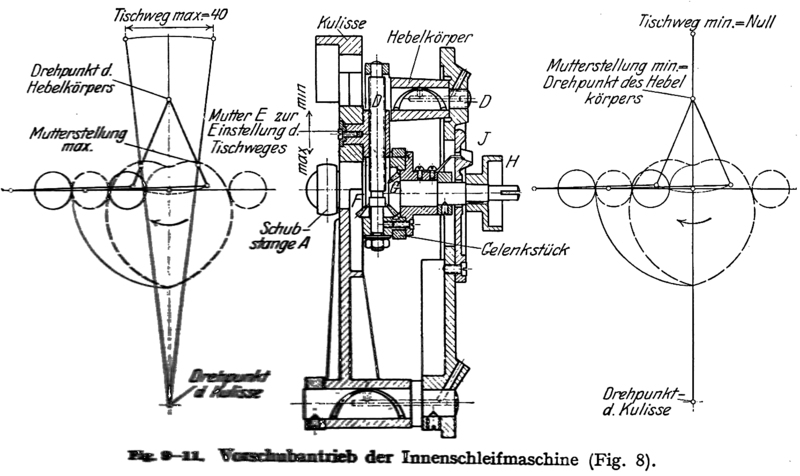 A catalogue page from the period 1900 to 1914 showing a simple plain-turning lathe (available with centre heights of 105, 125 and 155 mm and with a self-contained drive system) and a small vertical milling machine with the benefit of quill feed to the head. 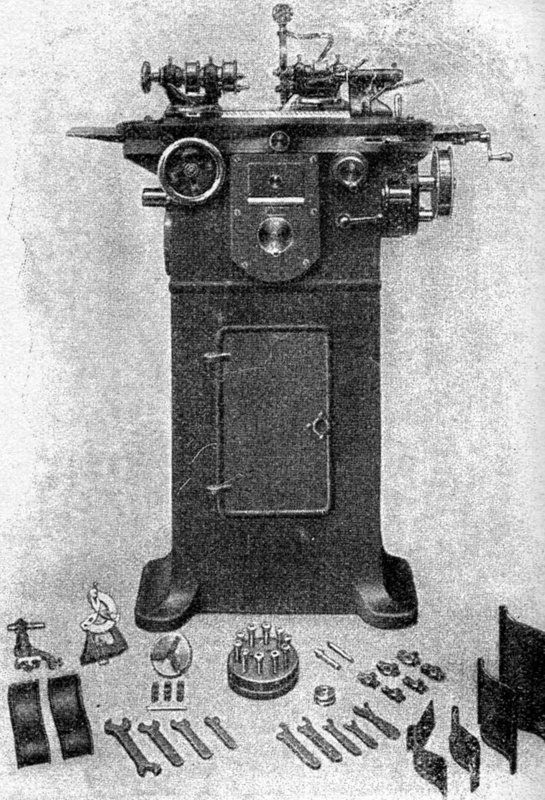 Beling & Lübke horizontal milling machine - with a robust dovetail overarm and power feed to the table - from the late 1930s. 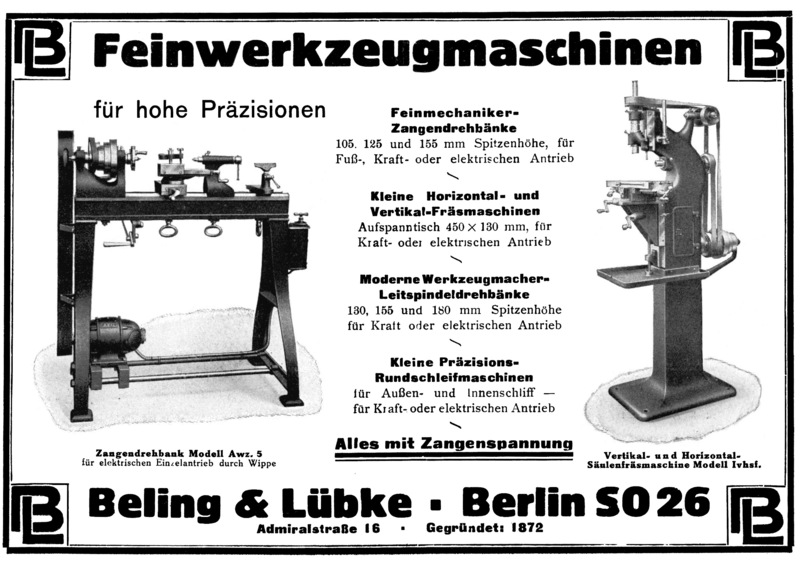 Illustrating the wide range and steady development over many decades of the small Beling & Lübke cylindrical grinder from the very smallest model of 1910/1915 (left) to a larger version of 1954 (above). 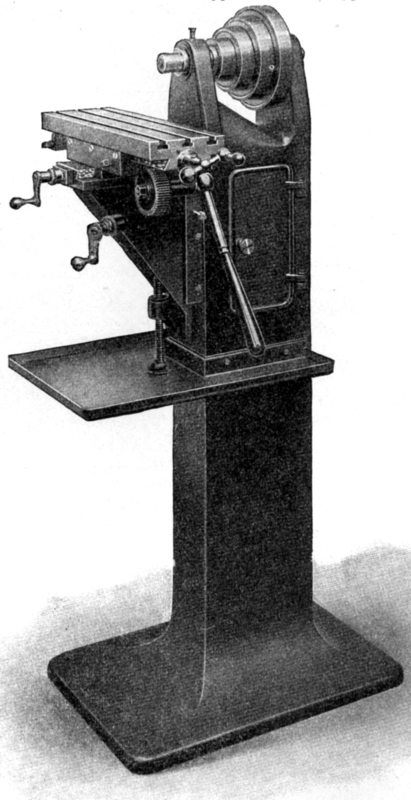 Beling & Lübke cylindrical grinder - the table was driven by steel bands passing over a heart-shaped curve, a system that made it possible for the operator to vary the table stroke whilst the machine was running.